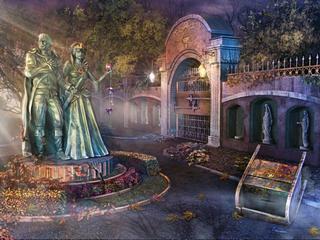 Twisted Lands: Origin is another game in the Twisted Lands series. The game is just as good as the previous game. It is actually a prequel, so if you haven't played the previous release and you enjoyed this one, you can go to it right after this one. The most challenging part is to figure out how to use the inventory and where to go. You play as a detective hired by his friend to solve the mystery of the disappearence of his daughter. You go to an island called Tormente (the name itself gives you a great idea of what to expect, right?). The main task before you is to figure out what caused all the inhabitants of the island to disappear. And that takes you to a place where you will have to be a witness of the birth of horrifying evil. For sure, if that's what your story claims, it's better make sure that the graphics and audio will create this required atmosphere. And Twisted Lands: Origin does that perfectly. The graphics are crisp and beautifully drawn becoing a great combination with the voice overs and all the sounds. There are two game modes of difficulty in the game. The most challenging part is to figure out how to use the inventory and where to go. You will have to go back and forth a lot. The easier mode helps with that with sparkles. 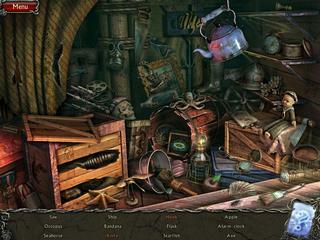 The hidden object scenes are not that unique. There is some interactivity, but mostly they are just cutscenes full of stuff. The game will be particularly interesting for those who played the previous release and want to go back all the way to the beginning of the story. I think the major issue is Indie's setup itself, mixed with gamer prtoepeicn.If a game is on the Top Downloads, Top Rated, Best Selling or New Releases list they effectively make 2-5x as much as if they're on no lists at all.Top Downloads I'm not sure if price really changes the factor on Top Downloads. I would assume that 80 point games are downloaded more often since people download trials to try games they want to buy, but it's just an assumption.Top Rated Rarely will you ever see a game that is 240 points that is 4 stars or above. Games that are 240 points are rated MUCH harder than 80 point games. Because of this it's just about impossible for games to get on this list.Best Selling This goes by units sold, instead of dollars/euros/profits. Because of this it is literally 3x harder for a 240 point game to get on this list. New Releases Once a game is off this, it's off forever. So it's not as relevant to point I'm trying to make.They really should do some sort of Top 80 Microsoft Point games and Top 240 Microsoft Point games It is likely that the majority of XBox Live users look at these lists, and these lists alone. We all know that once a weak/mediocre game is off New Release it's basically death. So how the list system works, combined with how XBox Live gamers work anything aside from an 80-point game really has a bit of trouble. This is Twisted Lands: Origin review. Download this game here.